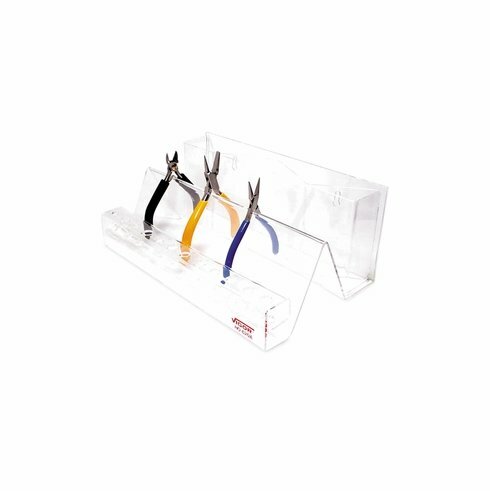 Durable clear acrylic holder has 5 vertical pockets at the rear, angled pliers rack in the center and 12 holes along the front edge to hold objects up to 3/8" diameter. Sits on your workbench or hang it on the wall using the pre-drilled holes. Measures 12" W x 7 3/4" D x 5" H.